Su carrito contabilizará 73.80 ME punts para canjear en futuras compras. 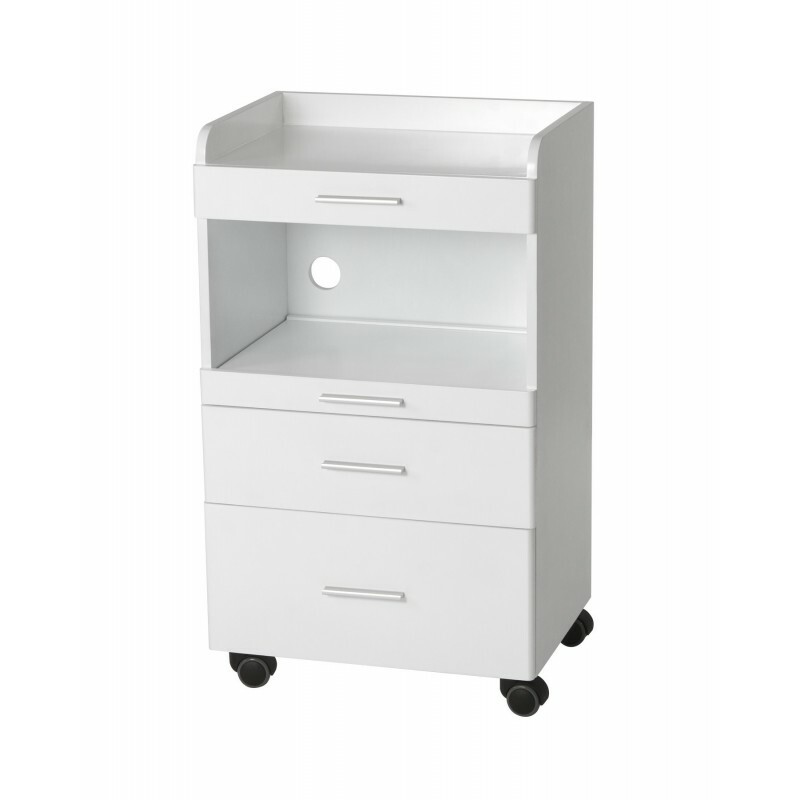 Elegant trolley with white lacquered wooden structure. It is equipped with 3 drawers and central housing with a sliding tray.